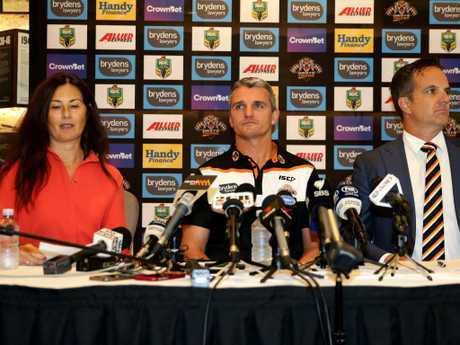 Wests Tigers chairwoman Marina Go has a clear message to incoming coach Michael Maguire - this is not a rebuild. Go also declared the Tigers need to end their seven-year finals exile. The Tigers have seemingly been in a constant rebuild since Tim Sheens was axed as coach in 2012. 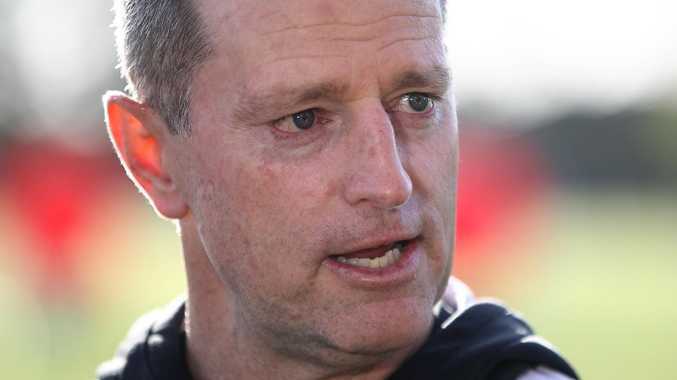 Mick Potter, Jason Taylor and Ivan Cleary were unsuccessful in bringing sustained success to the Tigers, who won their only premiership in 2005. But Go said the foundations for success had now been laid. "This is not a rebuild," Go said. "The hard work was started with Jason and Ivan built on that. "Michael has a platform now he can build from so we don't have to start again. "I've had a couple of discussions with (Maguire) during the process. He was clear about that. He said he felt we had a really good solid group of players, there are some opportunities to fill some gaps on our list. We know that. The Tigers have only made the finals three times in their history. Picture by Brett Costello. "He said he has some strong thoughts around that. "This is a guy who likes to win premierships. He has been very upfront about that. "He said to me 'you know I like to win premierships'. We didn't say he has to win one next year or 2020 but he is focused on winning. That's important for where our clubs sits now. "We have to get in the finals. Our club hasn't played finals football since 2011. That's a long break. "Ninth isn't good enough. We need to turn our fans hope into reality. We are not saying we need to win the competition next year or be in the top four but there is an expectation that very soon and hopefully next year we have to be playing finals football. "We need to be eighth or better. Anything less than that would be frustrating for our fans." When it became clear Cleary's position at the club was untenable, Maguire and Wayne Bennett reached out to the Tigers. Go said having the calibre of premiership winning coaches wanting to join their club shown how far the Tigers had progressed in recent years. "It was harder four years ago because we were dealing with a lot of issues in the club that were really about rebuilding the entire club," Go said. "Not just the on field component. At the time we were looking for the best coach we could get. "A lot of coaches that approached us but we weren't necessarily being approached by coaches who had a lot of experience. 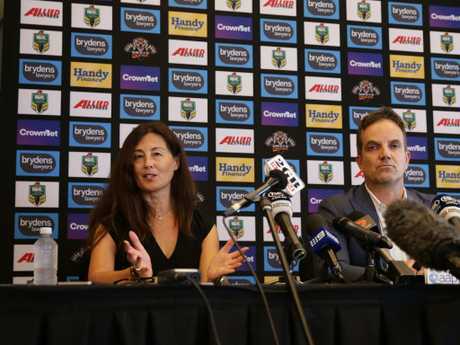 The club’s brass believe the rebuild work has already been done under Ivan Cleary. 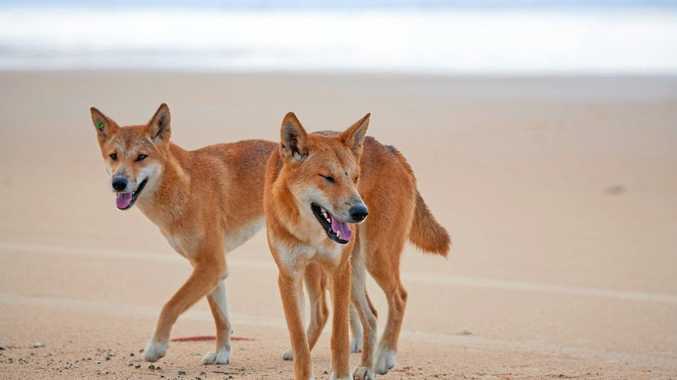 Picture by Gregg Porteous. What we had we were really happy with. There are leaders for an organisation at a moment in time. "We don't have any regrets about what decisions have been made. Even though the recent coach stayed less time than we would have hoped he still did a great job. So did Jason Taylor in his first few years. "It's recognition for us that we had two of the most successful coaches in the league approach us to say that would be interested in coaching should Ivan leave." 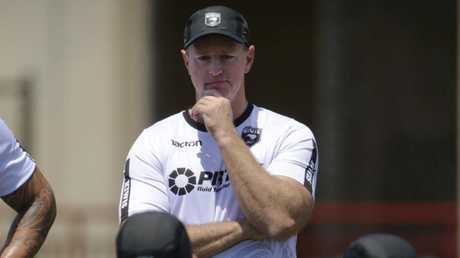 Go said there was no "bitterness" towards Cleary despite the sour taste his return to Penrith left on the club. "We will always remember him as a good coach," Go said. "He was good for our club. He gave our fans hope. That's a really valuable thing to have given our fans who for years and years had in many ways lost hope. That's why the disappointment from our fans was so personal. They believed in him. "They jumped straight on that bus. "There was disappointment only because we had a very positive experience with Ivan until the day I got a call from a journalist to tell me Penrith were trying to sign our coach."